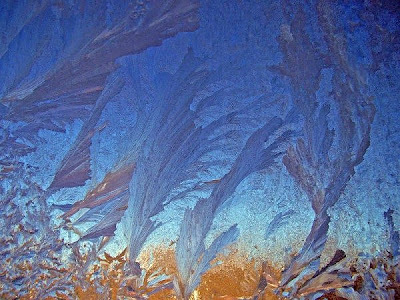 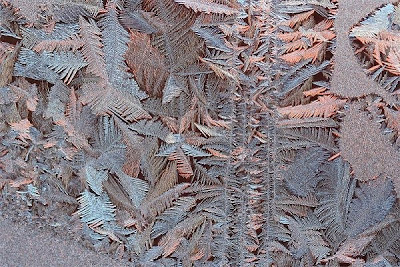 ’s brushstrokes envelop windscreens in fractal crystal and transform into icy autumn leaves, crystal ferns and mathematical shapes. 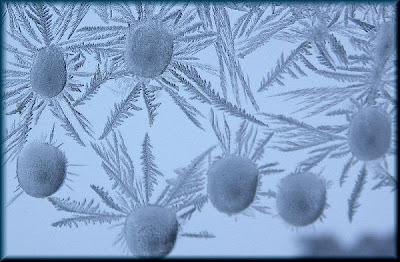 Jack Frost is an abstract artist. 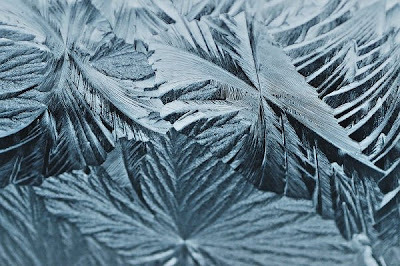 Perhaps the beauty of frost lies precisely in the fact that it is ephemeral, melting into oblivion only several hours after it is created. 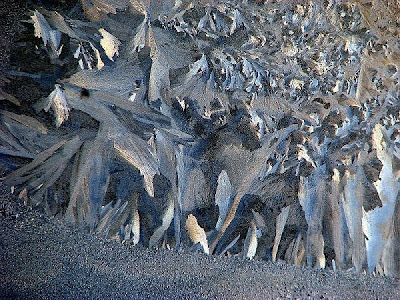 Frost deposits form when water vapor turns directly into ice, which happens when the air temperature is at or below freezing. 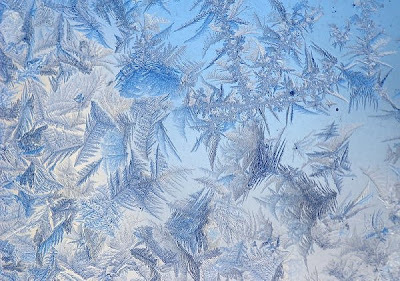 When the first frost crystals form a layer, new crystals will align themselves with those already there, which gives us the amazing natural patterns we see. 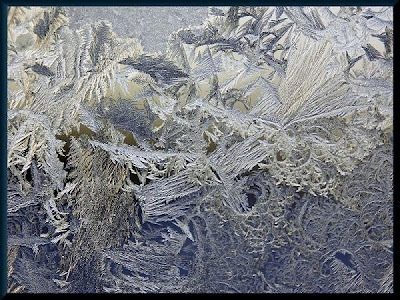 at a slower rate the windscreen, which is a larger surface area and points directly into the cool night air, making it a perfect canvas for Jack Frost.
. 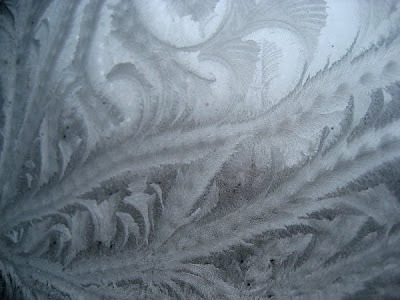 This means they retain more heat so they don’t frost over in the same way windows do.
. 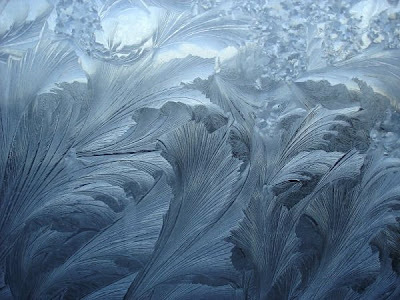 The waves to the bottom right of the image and the masts keeling sideways. 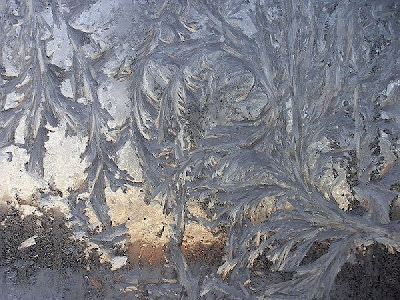 Other people will probably see something different, but then that’s the beauty of art – it’s in the eye of the beholder, as they say.